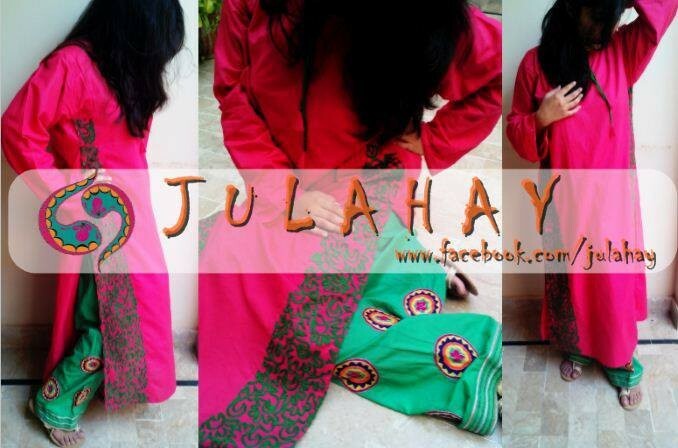 Julahay Mid Summer Collection 2013 for women has freshly launched in fashion industry. In this collection, you will find stylish Kutras and outfits for young girls. 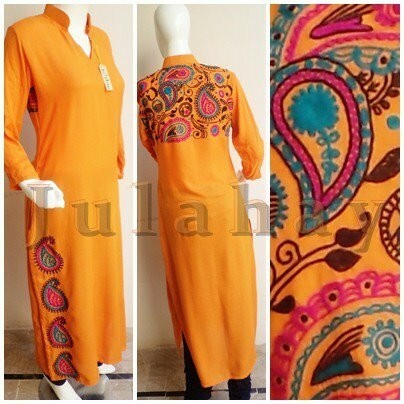 These Kutras embellished with gorgeous embroidery on front, back or on Daman or on sleeves. Girls! 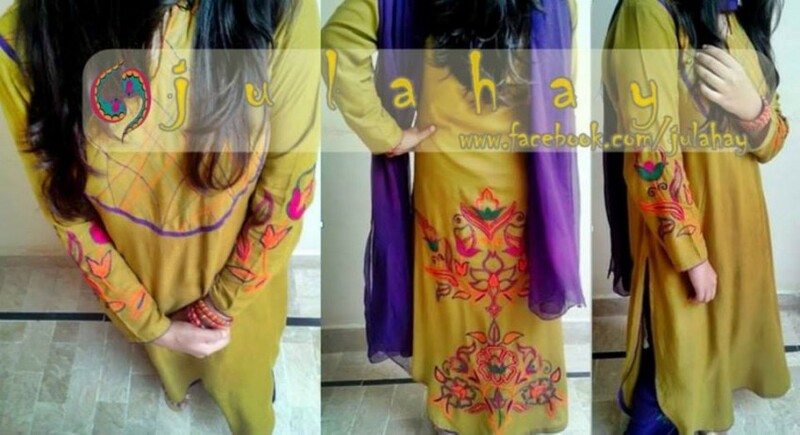 You can wear these Kutras with shalwar, churidaar pajamas, trousers & jeans as well. 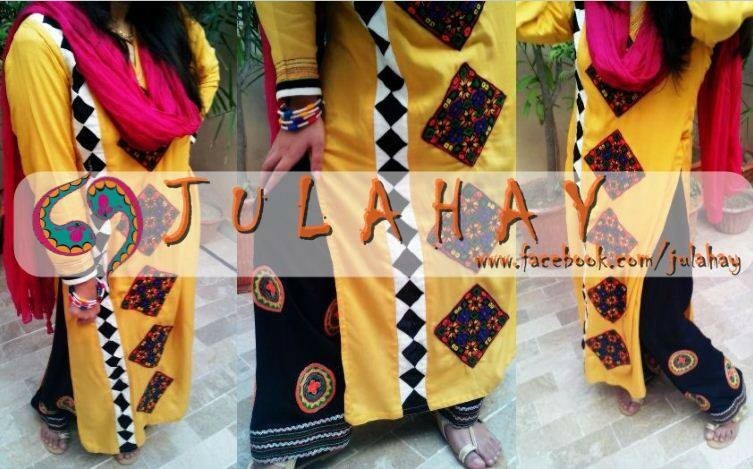 Julahay New Mid Summer Collection 2013 is perfect for casual wear .Julahay has appeared on the screen of fashion industry with the mission to accommodate young and modern women with ready to wear dresses and outfits in changed and exclusive styles.